"...a possible compliment rather than a complete course." Fluenz French is relatively new entrant to the French teaching market but it has quickly become one of the best selling French language courses in the world. Using a unique tutor based approach; it seeks to replicate the experience of having a one to one teacher guiding you through your studies. If you are looking for a direct comparison with Rosetta Stone check out this review. 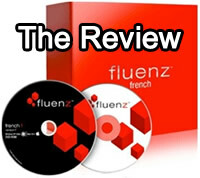 In this review I will look at what you receive when you purchase the Fluenz French language course and some of the key features that I like about this product. I will also explain some of the things I didn't like about Fluenz French and important limitations you should know about before purchasing. Finally you will find my overall recommendation for this product and who I think will most benefit from the course. 5 DVD-ROMs - These DVDs cover the five levels of French learning with Fluenz. The DVDs take you through from complete beginner to advanced French. In total there are 150 separate lessons, with each lesson up to a maximum of 2 hours. The Fluenz program uses a video language tutor who guides you through the exercises in the course. There is both Mac and Windows versions of Fluenz French available. 5 Audio CDs - These are designed to reinforce the corresponding DVD software. They can be used either on your home stereo or in your car. Alternatively they can be copied to MP3 files to by used on MP3 player or iPod. Fluenz Navigator Booklet - This small reference book contains the key words and phrases that you will need in order to get by in French conversation. The navigator booklet is ideal for travel. Podcasts - Fluenz French comes with podcasts which you can use with your iPod, iPhone or MP3 player. These are updated as new podcasts are released by Fluenz. The total Fluenz French package, with all five levels costs $398. This includes free shipping inside of the United States. It also comes with a 30 day money back guarantee that allows you to return the product for any other reason. 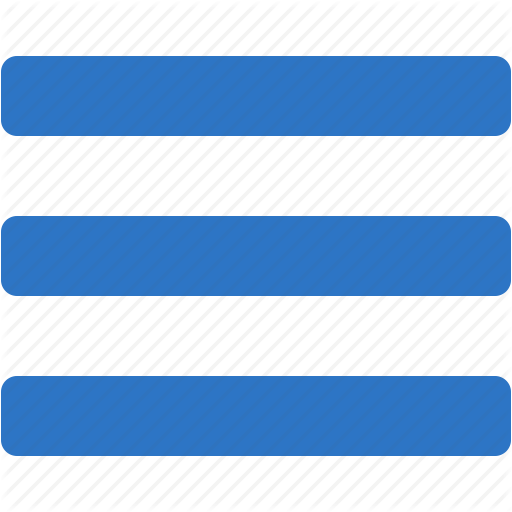 The different levels can also be purchased separately or as introduction or advanced packages. Excellent Interface - Fluenz French has a very easy to use and intuitive interface. You do not need to read any manuals or watch tutorials in order to understand what to do in each of the lessons. Comprehensive Teaching Materials - This is a complete language learning course. The workouts cover everything that you need to know in order to master French including reading, writing, vocabulary, pronunciation and grammar. All of this is taught in a structured, tutorial based setting. Fantastic Customer Service - Fluenz offers great customer service. From 9am through 9pm you can get live chat customer support from the Fluenz website. If you have a problem, with the product I recommend that you try the live chat option first, is the technical support staff are very knowledgeable and friendly. They also have a contact form that you can send to get an answer to your queries. Finally there is also a phone number that you can call during office hours. Fluenz also has a message board where you can interact with Fluenz employees and pose questions. Great Help Options - As I've already noted Fluenz is very intuitive to use. However it also includes an excellent range of help options, including demonstration videos which take you through each aspect of the software and how to operate it. The boxed package also comes with an operation manual and FAQs, that can be used to solve any problem that you are likely to experience with the software. Update Resources - When you purchase the Fluenz course, you are not just getting the software package as it is right now. You will also receive any updates in the future. Fluenz are constantly developing new French learning materials such as flashcards and podcasts, which as a paying customer you will get access to. Record Your Own Dialogue - As you practice your French conversation you are given the opportunity to record your own dialogue. You can then play this back and compare it to a native French speaker, saying the same sentence. This is actually a very effective way to improve your pronunciation, and mimics working along side a tutor. Other products such as Rosetta and Berlitz use voice recognition software, which records your voice and then makes corrections. The problem is that voice recognition has not reached the stage where nuances of speech can be picked up and so the experience with these courses is often frustrating. The Fluenz solution is simpler and works better. Fast dialogue - One aspect of Fluenz French that many people struggle with is the speed with which the actors speak. The idea is that you get used to hearing people speak at their natural speed. This can be challenging but does reflect the reality of talking to someone in native French. Note you can re listen to any conversation, by selecting the back button, if you do not hear all of the details the first time. Bias towards travellers - The biggest market for language learning software is travellers, whether for pleasure or business. Fluenz language is obviously catering to this market, as the emphasis is definitely on the kind of conversations you will experience during travel. There could also be more emphasis on every day conversations, rather than how to conduct yourself with waiters or hotel staff. While this emphasis on travel dialogue will be perfect for some, if you are a college student studying graduate level French then the course will be less well suited. For college studies Fluenz French should be seen as a possible compliment rather than a complete course. Cost - Fluenz French is not the cheapest language learning software on the market. While it is comparable in price to Rosetta Stone French, products such as Rocket French may be more attractive to students on a budget and use a newer "modern" approach to learning the language. Fluenz French has quickly become one of the top selling French language courses, and is not difficult to understand why. This is the most comprehensive French language course that I've yet encountered. With 150 lessons, there is a huge amount of material provided here, but because of the enjoyable nature of the lessons, it never seems overwhelming. While it is similarly priced to other products such as Rosetta Stone and Rocket, the quality of the lessons with Fluenz is significantly higher. We also really like how intuitive the design is with Fluenz French. You can literally install it and you are ready to use it right away. The production values of this product are very high and it is obvious that real money has been invested in creating this software. If you want a language learning program that can take you from not speaking a word of French, to becoming a competent speaker, then this is the course I recommend to use. If you're still not sure which course the best for you, you might want to check out Rocket French, a new course, which offers similar content using newer techniques at a lower rate.